It’s been two months since I have posted anything. When I last posted we were getting ready to leave for our 2 week Europe vacation/Rhine River cruise. What a great time we had! I don’t know what I would say was my favorite but I loved seeing the castles and the cathedrals. What an awe-inspiring trip and realizing just how new America is. Here’s just a few of my favorite pictures from the trip. We started on the Viking riverboat Hlin. Due to the extremely low water levels we had to do a boat swap and ended on the Kara. But, it doesn’t really matter because they are exactly the same! This shows the dining room, the lounge and the upper (outside) deck. We loved our time on the boat and are already planning on where we want to go next time. The windmills at Kinderdjik are hundreds of year old and still operating. Their purpose is to pump the water since the land is below sea level. Did you know that windmills have a language of their own? Depending on how the sails are “tilted” tells the surrounding neighbors a message. Even how the sails are covered will mean something. Scotland – what can I say but I want to go back. Heidelberg – I need to do some research to see what all is on this sundial. The Cathedral at Cologne. It is absolutely breathtaking. I think I could have visited for hours and still not seen all of it. I have hundreds of pictures and need to get them organized. We also visited Germany – the Black Forest – where I bought a cuckoo clock. Switzerland where we brought home some cheese we made. November I started on my granddaughter’s quilt. She is raising money to go on her class trip to Washington DC and asked me to sew her a quilt to raffle off. I of course agreed and made my favorite “school” quilt. I have made several of these and will write another post on it, but here’s a picture of one I made before. This one was for my daughters sorority auction so it had the WSU Cougars mascot. My granddaughter quilt will have a different mascot but the colors are the same. It’s at the quilters right now and I have the mascot all made so it should be ready to give to her when we get together for Christmas. And – of course the grandkid pillowcases. Apparently I have started a tradition where I make all of them a flannel pillowcase each year. I love making the burrito roll type pillowcase, they’re fast, easy and have a nice enclosed seam where the body meets the trim. Here’s my stack all ready to get wrapped up. I’m missing one – I guess one grandson informed his mom of what material he wants me to use so I’m waiting for that to get to me. But the rest are done. Here’s a stack of 9 pillowcases. 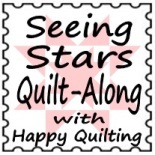 « Seeing Stars Quilt ALong – Holly Woods Version finished!